Surprise someone with a bountiful basket of mixed plants. 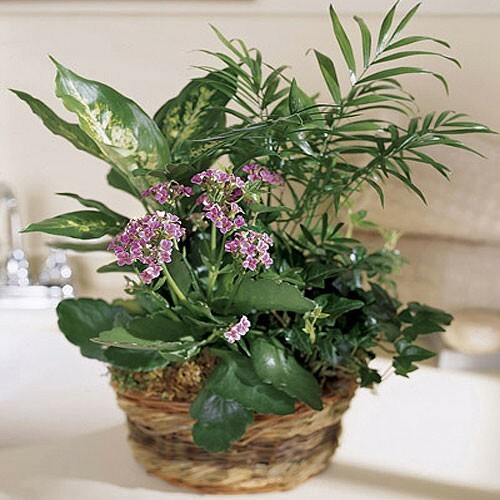 This lush garden arrangement features an assortment of three green plants well arranged in a basket. It's a casual gift basket that brings the natural serenity of the outdoors into any room of the home or office. Some plants may vary but our FlyingRoses florist will choose the best plants available in case some change is needed.